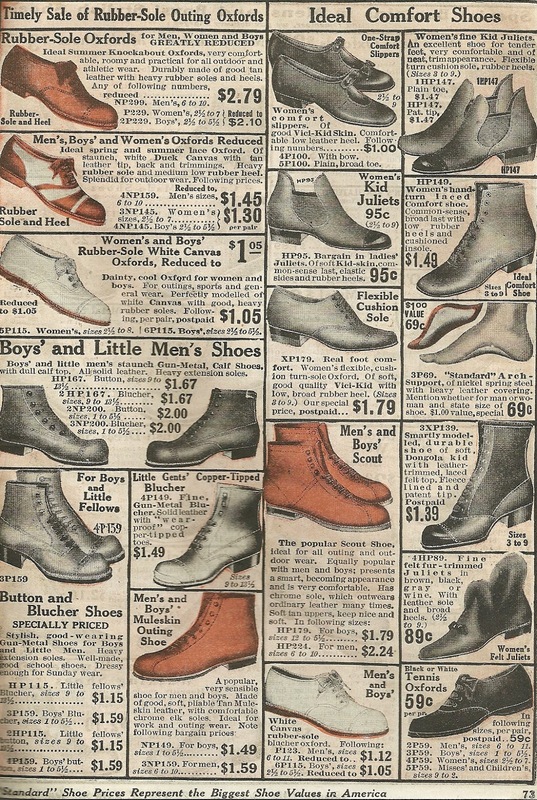 Unraveling Threads: An Important Fashion Accessory - Shoes! An Important Fashion Accessory - Shoes! If you read my blogs you will note one of my favorite inspirations is the Personal Journal section of the Wall Street Journal. In an article regarding Fashion Week, Wednesday, Feb. 12, Elizabeth Holmes wrote her headlines ‘The Season of the Shoe” and “Shoes Go From Runway Prop to Style Influencer”. Well, I could have told you that years ago. You see, I LOVE shoes and must admit to owning dozens of pairs. I mean that includes winter boots, casual clogs, hiking boots, gym shoes, sandals and flip-flops in all colors and styles. Also, I must add a few pairs of dressy shoes, and, I forgot, many pairs of slippers. To my chagrin, I have donated many pairs of “trendy” shoes when they weren’t “trendy” any longer, only to have the circle of design have them re-emerge years later. When I travel, I find I check out my fellow travelers’ wardrobes, especially their footwear. There are those folks who need to wear sturdy shoes for medical reasons (their podiatrists would be proud). But, honestly one can surely find comfortable footwear that is more attractive than those huge sneakers! Even athletic shoes are more stylish now, in bright colors and lightweight to boot (no pun intended). Does everyone really need to go clomping around in shoes the size of a shoe box? And when was the last time they were really white? And talk about heavy…when you must pay for the weight of over-loaded luggage! No wonder carry-ons are the size of steamer trunks. Traveling, aside, have you noticed what is worn around town? Please…Actually, cloddy sneakers are the best part of some outfits. It doesn’t take a boatload of cash to purchase attractive, fashionable clothes and accessories. So look down! And see if you can do a bit better for this Season of the Shoe. 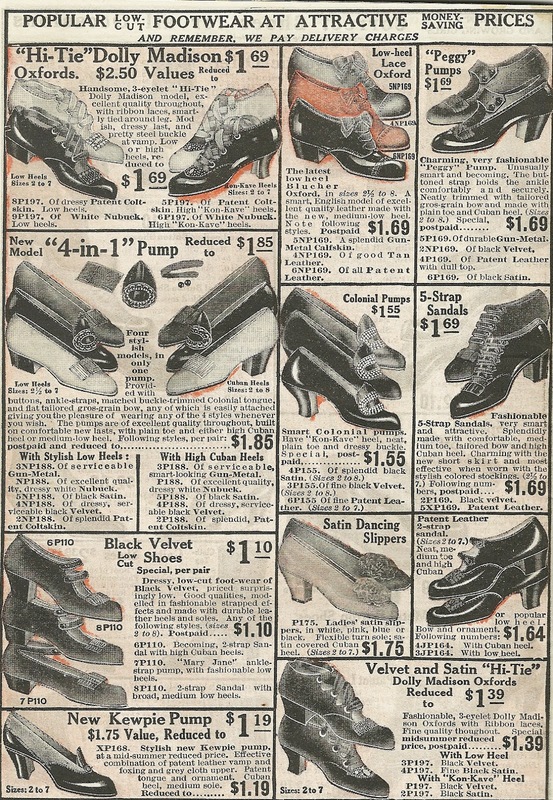 I found these ads in Standard Mail Order Co. catalog, July-August, 1915. Very trendy for their time and note the prices!